Planning a trip to the United States? You're probably familiar with American Airlines – one of Qantas' closest Oneworld alliance partners – but an often-overlooked alternative is Alaska Airlines, another Qantas partner. Despite the name and particularly following its takeover of Virgin America, Alaska Airlines provides a strong network of flights across North America, including from places like Los Angeles, San Francisco and Honolulu as are served by Qantas: and no, not only to Alaska. 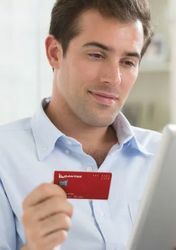 With very low fees and charges levied on reward bookings made using Qantas Points – typically US$5.60 per one-way domestic flight, whether flying up the front or down the back – here's what you need to know to turn your Qantas Points into an Alaska Airlines flight. 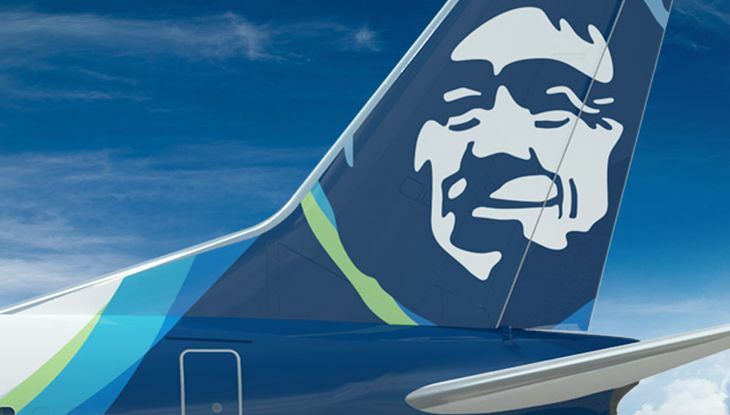 In the same way that Qantas – formerly Queensland And Northern Territory Aerial Services – doesn't only fly to Queensland and the NT, Alaska Airlines has a broad network of flights across North and Central America, many of which don't go anywhere near Alaska. Just keep in mind when searching for reward flights that in some cities, Alaska Airlines serves more than one airport: JFK and Newark in the New York Area, for example, and Dulles and Reagan National in Washington D.C.
On most flights, Alaska Airlines offers two main classes of service: 'first class' in the North American sense, which Australians would generally consider to be business class (below), and economy. Here's where that becomes problematic: in the Qantas Frequent Flyer program, Qantas charges the full first class booking rates for such Alaska Airlines first class flights – the same rate as for true long-haul first class flights of a comparable distance, as opposed to debiting points at business class rates as you might expect. 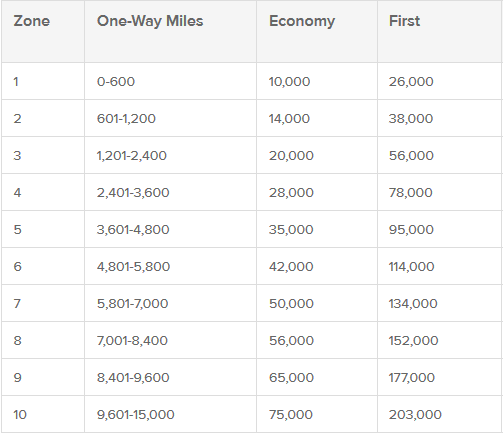 For example, if you're darting from Los Angeles to San Francisco (or vice versa), you'd part with 10,000 Qantas Points plus US$5.60 for a one-way economy flight, but would be slugged a whopping 26,000 Qantas Points (plus the same US$5.60) to fly Alaska Airlines first class on the 90-minute hop, whereas booking American Airlines business class on the same route is just 16,000 Qantas Points. On the plus side, booking Alaskan first class provides pre-flight access to Alaska Airlines' lounges, where available, which isn't always the case on other short flights within North America (including on most American Airlines business class fares), and provides a free checked baggage allowance of 2x23kg. Booking an Alaska Airlines economy reward flight, on the other hand, includes no checked baggage at all – fees of US$30 for the first bag, US$40 for the second back and US$100 for any further bags are levied at check-in. Alaska Airlines reward flights are also priced in line with the less-generous Qantas Frequent Flyer partner table, as opposed to the 'preferred' table covering Qantas flights and those on its close alliance partners like American Airlines and Emirates, so if American Airlines and Alaska Airlines fly the same route, you could consider both options. Given the difference in points rates, I personally find Alaska Airlines to be a useful option when considering day trips on relatively short-distance routes within the US – where economy is tolerable and I don't have a bag to worry about – particularly when there's availability on Alaska Airlines flights but nothing suitable on American Airlines, which doesn't tend to release as many reward seats on popular routes. As Qantas uses flight distance to determine how many points to charge – rather than regions as used by some other frequent flyer programs – there are a few sweet spots hiding around the place, such as for travellers who'll already be visiting Honolulu. Extend your Hawaiian trip onward to Los Angeles and you'll be up for 78,000 Qantas Points for a one-way flight in first class, or 28,000 Qantas Points for economy: but fly to nearby San Francisco instead and you'd only need 56,000 Qantas Points to fly up front, or 20,000 Qantas Points to fly down the back. That's because San Fran is just a little closer to Honolulu than Los Angeles is, so it just falls within that '56,000 Qantas Point' range, whereas Honolulu-LA nudges the number of points needed up considerably, costing you an extra 44,000 Qantas Points for a round-trip first class flight. When booking multiple Alaska Airlines flights under the same reservation, if you're connecting from one flight to another, you simply add the distances of each flight together to work out the total distance flown, and that total will help you determine the number of points you need, as above. For example, travelling from Los Angeles to Seattle and connecting onward to Spokane – Washington State's second largest city – you'd add together the distance of LA-Seattle (955 miles) and Seattle-Spokane (224 miles), which comes to 1,179 miles: a journey that costs 38,000 Qantas Points to book in first class, or 14,000 Qantas Points to book in economy. But if you flew from LA to Seattle, stayed there overnight (or longer) and later flew to Spokane, you'd be charged for two separate flights: in first class, 38,000 Qantas Points for LA-Seattle (again, a journey of 955 miles), plus a further 26,000 Qantas Points for Seattle-Spokane (a mere 224-mile journey): that's up to 52,000 extra Qantas Points for a return first class trip, compared to merely transiting Seattle! As with most partner airline flights, Qantas Frequent Flyer members can use their points to secure seats on Alaska Airlines via the Qantas website. On the date we searched, there was availability in Alaska Airlines first class (AS3445), American Eagle business class (AA6034, and other departures throughout the day which aren't pictured), and Alaska Airlines economy on those morning departures. For economy travellers, although the number of Qantas Points charged to fly Alaska Airlines is higher than to fly American Airlines on routes of the same length, booking Alaska Airlines here could make sense, given it's the only option. For those happy to splurge some extra points, consider that on this route, a business class flight on American Airlines costs 16,000 Qantas Points with plenty of departure times to choose from, while on Alaska Airlines, a comparable experience booked as 'first class' would have you paying a higher 26,000 Qantas Points. That's where booking American Airlines could make more sense, but we'll leave that choice to you! If you're happy with everything, you can follow the prompts to finalise your booking, or go back to the previous screen to select another flight. All things considered, Alaska Airlines is a handy partner for Qantas to have – particularly following its merger with Virgin America, which expanded its North American flight network quite considerably – and for short domestic hops in economy, isn't a bad way of spending Qantas Points when paid ticket prices are otherwise on the higher side. 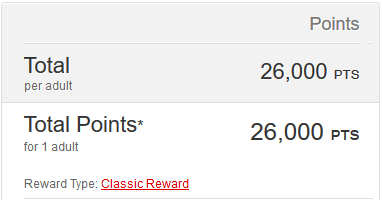 However, given the significantly higher number of points needed to book an Alaska Airlines 'first class' flight compared to an American Airlines 'business class' flight on the same route for a relatively similar travel experience, I'd generally lean towards American for those bookings, unless Alaska Airlines was the only carrier with reward availability on the dates I needed to fly. That's particularly true on longer flights where American Airlines provides more of an international-grade business class experience with fully-flat beds on some routes like Los Angeles to New York, compared to simpler reclining seats on Alaska Airlines, which ironically would cost more points to book. In that respect, American Airlines is more of a 'Plan A', and Alaska a 'Plan B' when redeeming Qantas Points: but having a Plan B is still better than not! It should be the other way around. 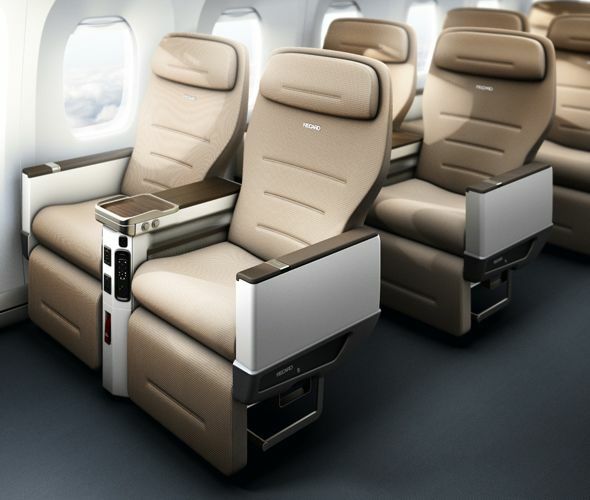 Buy Alaska miles (or earn from Qantas, Cathay, JAL and Fiji Airways) and use it on Qantas flights. Very timely piece (thanks Chris!) 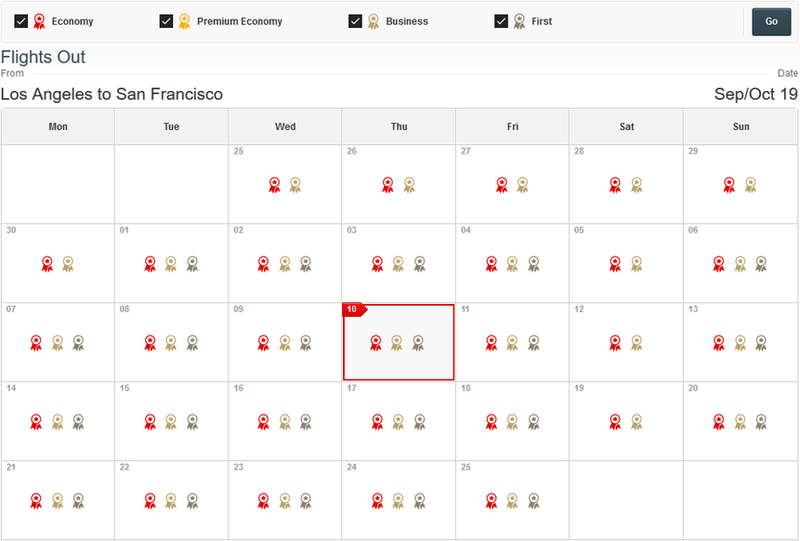 as I'm looking to use points to book a return flight NYC-SFO this May. 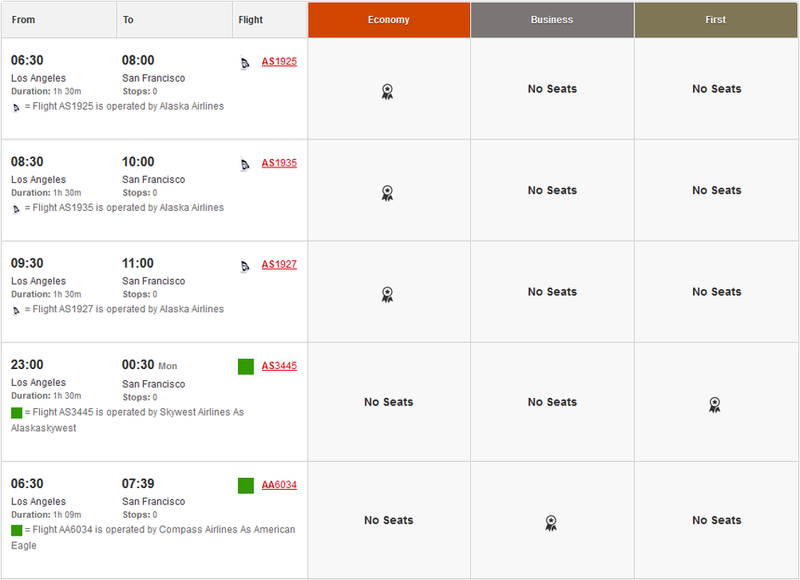 However, Qantas is only showing Alaskan options for me; no American Airlines and AA is my preference. Any ideas/tips on bypassing this and getting the AA flights I want? Happy to try Alaskan, but not on a transcontinental flight on a B737 at that points 'cost'. Comment on "Using Qantas frequent flyer points to book Alaska Airlines flights"